As soon as the weather turns chilly outside I instantly turn to a bowl of chili to warm me up on the inside. Sometimes food just has the ability to wrap you up in a warm blanket that soothes the soul doesn’t it? It’s kind of like that old friend that you haven’t seen in a looong time, the one that makes you feel all warm and fuzzy inside and you wonder why you let so much time pass since your last visit. 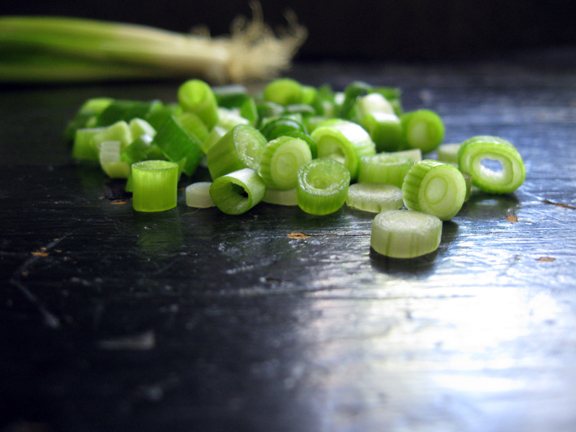 From the moment I bang & clank through the cabinet to find my favorite pot, to the dicing of the onions through the familiar veil of tears (as onions never fail to make me cry), I find myself eagerly awaiting that first piping hot spicy bite. Ooooh the anticipation. I also find that I adore this delicious dish for its’ versatility. Doesn’t matter if I have ground turkey or beef on hand, a variety of beans or just one kind, chili is as forgiving as that dear old friend. 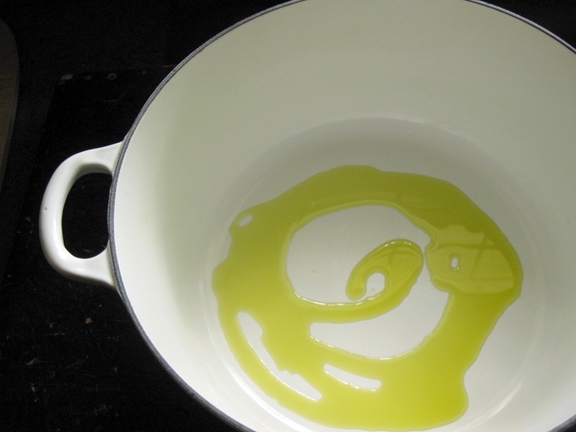 I begin by drizzling some olive oil into my favorite pot over a medium flame. 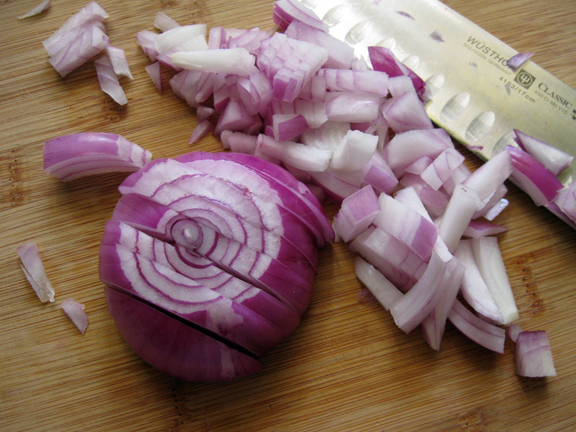 I grab an onion, I had a purple one but any kind will do. 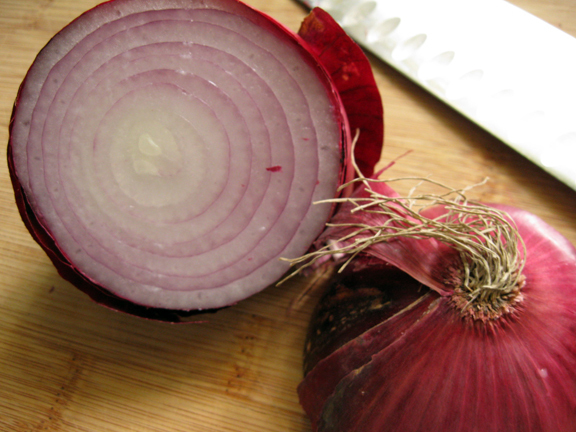 Dice the onion (in my case, through a veil of tears). 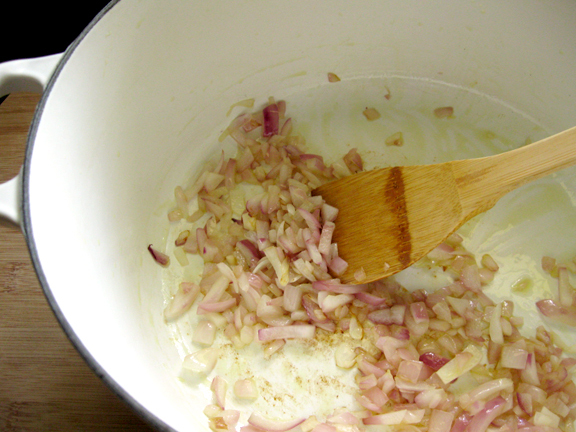 Saute the onion until transparent, about 5-6 minutes. 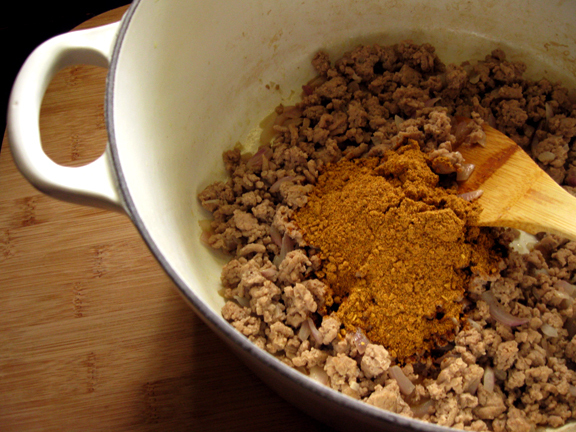 Next, add the ground turkey and cook until the turkey is browned. 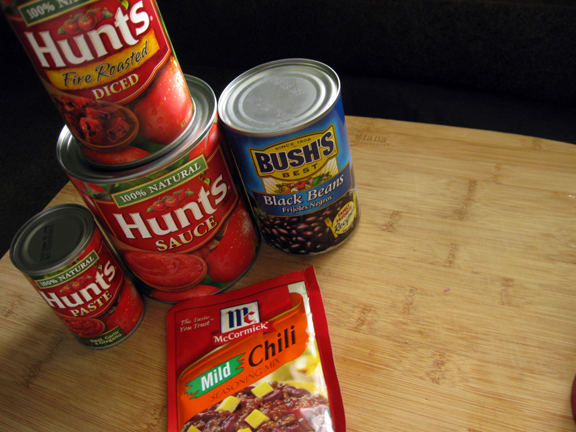 …meet canned tomato sauce, diced tomatoes, tomato paste, beans and of course the ever popular chili seasoning packet. I’m a suburban mom of two who’s on the go and these little ditties make my life easier which makes me happy. Sprinkle the chili seasoning packet all over the browned turkey, add a splash of water and stir until the turkey is totally coated in the spicy mixture. 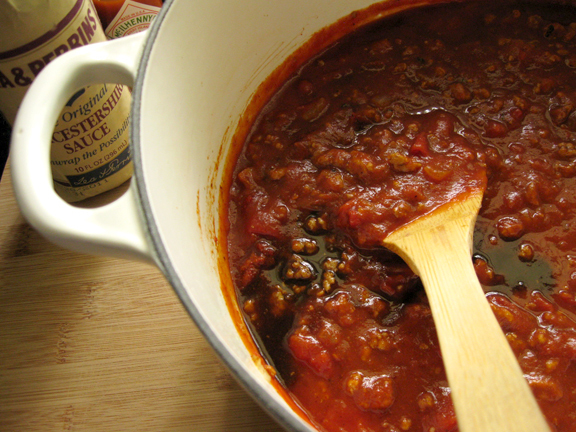 Note – I used the “mild” mix because I like to embellish my chili with other “secret” ingredients. Yep, Worcestershire sauce. Does wonders. 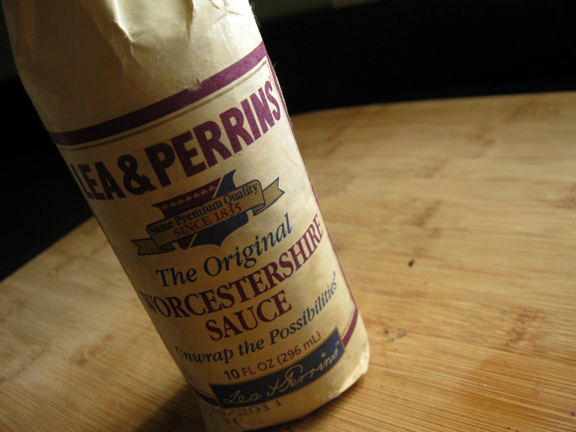 I add a few healthy shakes of the Worcestershire sauce. The tangy sweetness cuts the acidity of the tomato sauce and adds a fabulous depth of flavor. 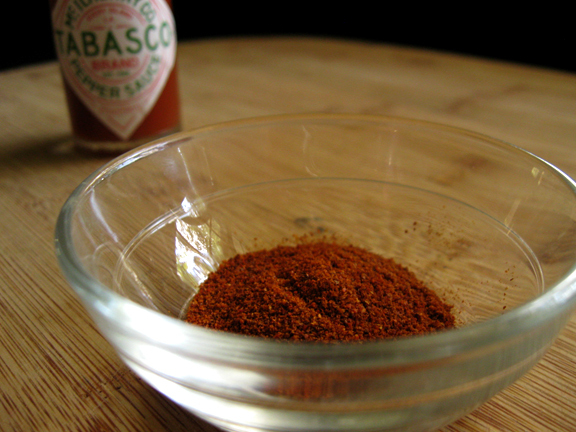 For some kick I like to add Tabasco sauce and cayenne pepper. 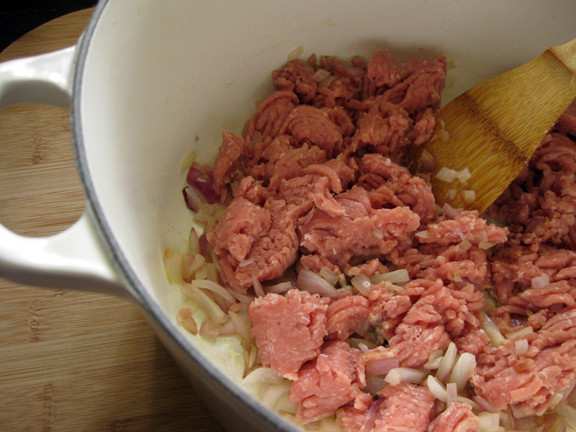 In my opinion to key to making a great chili is the layering of flavors. A little spicy, a bit of sweet & tangy and a kick at the end of each bite for good measure is always appreciated! The crunch of the green onion and the goo of the melted cheese on top of the hearty spicy chili are, well, a spiritual experience. I’m not sure just what it is about the combination of meat, beans and tomato sauce happily bubbling away in one big pot that makes me feel so at home and cozy, but it does. I hope it makes you feel that way too! Now, sit back and enjoy a big bowl of chili and relish in the warm fuzzy feeling of an old friend. Time and time again! Gorgeous photos! 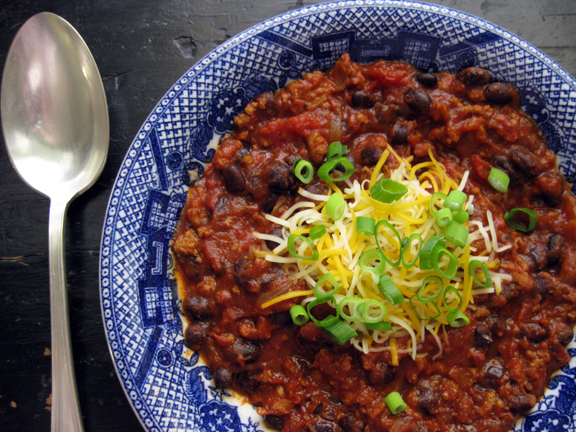 I love the look of this chili – perfect for week night cookin’ when the weather is cooling down. YUM! Wendy, this is great! Next time you don’t have one of those chili packets on hand, check out my site for Andy’s Belmar Chili. Nancy from Sensitive Pantry gave me her husband Andy’s spice recipe, and it is SPOT on. You can use it with any of the ingredients you have above. Amber: I often do not have chili packets on hand and would love Andy’s Spice recipe from Nancy’s Sensitive Pantry. It is that good huh? Yum. please share. Gorgeous! I think that might be the most elegant bowl of chili I’ve ever seen. 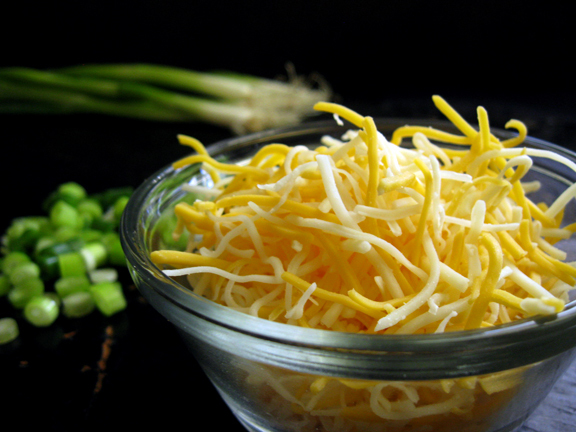 And I’m with you on the “layers of flavor”- my favorite chili recipe uses honey. I just finished dinner and I’m full…….and this STILL looks AMAZING!!! thanks for the recipe Wendy!! I’m a big chili fan. We typically use turkey, a few types of beans, and my husband’s (as Amber knows!) spice mix. The best part (other than the fact that it’s delicious) is the hubs makes it for me! Your chili looks amazing and the photos are spectacular! Oh Nancy: I would love the spice recipe….please share. Yum! Definitely ready for some of this and a nice cool evening. That picture is so beautiful, Wendy! I always have what we call the first cold day of the season chili. My husband isn’t a big chili eater, but the rest of us love it! Nothing like a hearty bowl on a cold day to warm you up! Wendy, love the photos. They make me want to dive into a big bowl of chili. And aren’t the best recipes like old friends? Forgiving and timeless. Mmm. That sounds so good right now and it’s only 10:03am. The only thing better than chili on a cold night is leftover chili on a cold night. It tastes even better the next day. Wendy, This looks fantastic. 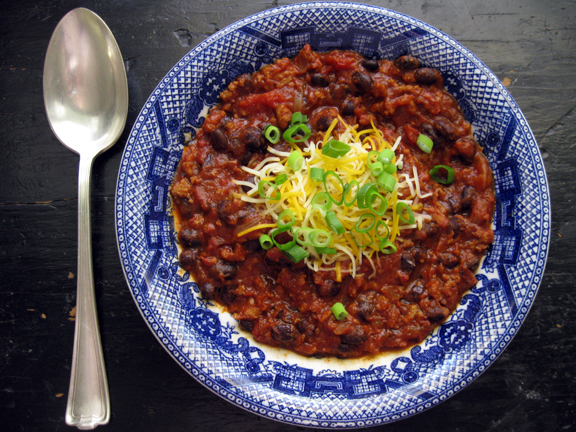 I love chili and I’ve been playing around with alternatives to ground beef chili. Can’t wait to try this one. Hope you’ve been having a fantastic week! Cheers….. I love this and so will my husband! He is a chili fanatic. I can’t wait to try this.